optional: add a handful of chopped walnuts! Combine the eggs and banana with the butter and sugar. 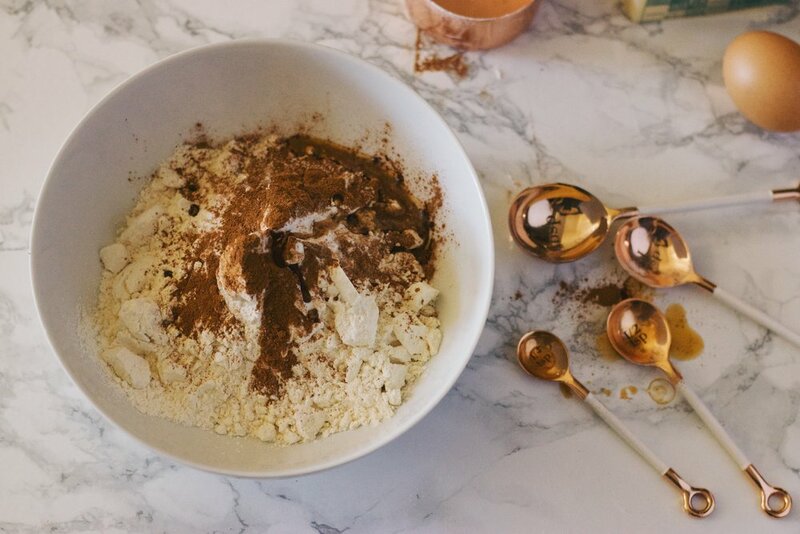 Now sift together all the dry ingredients, including the flour, baking soda and cinnamon. Then toss in that vanilla! Mix all the ingrediants together well, but not too much. Bake at 350º / 180º for 55 minutes.